In 1992 Daniel J. Terra (1911-1996) opened the doors of Musée d'Art Américain in Giverny to the public. Under the auspices of the Terra Foundation for the Arts, it functionned with the combined mission of supporting the acquisition, preservation, exhibition, interpretation, research, and scholarship of original works of American art. Through these resources, the Terra Foundation aimed to promote a greater understanding and appreciation of America's rich artistic and cultural heritage for the benefit of a diverse audience. The Musée d'Art Américain was opened in Giverny to explore the historic and aesthetic connections between French and American artists. This village, home to the impressionist Claude Monet, was the location of a popular American artists' colony at the turn of the nineteenth century. In Giverny many of these artists began to experiment with the impressionist aesthetic - the results of which contributed to what has become a long-lasting link between the art of France and America. Daniel J. Terra, the grandson of lithographers who immigrated from Italy, was raised in Pennsylvania. He worked as an apprentice in his family's shop while studying chemistry. Through his undergraduate thesis research, he discovered a new ink vehicule, which allowed printing presses to run faster than ever before, leading to the creation of Life magazine, the first news-picture publication. In 1940, Terra borrowed funds from a friend, John Lawson and founded a printing-chemical firm, Lawter Chemical, one of the world largest producers of printing inks and chemicals. Terra's interest in art and collecting began in 1937 when he married Adeline Evans Richards, a painter and a student of art history. The couple purchased their first painting for forty dollars at a Chicago department store. His commitment to American art grew with the collection. Possibly the most well-known work in his collection is Samuel Morse's A Gallery of the Louvre (1831-33). The collection continues to grow, and includes drawings, prints, sculptures and paintings that represent the major themes and developments crucial to the understanding of art of the United States. Daniel J. Terra is consistently named as having been one of the top national and international private collectors. However, it was the presentation of his collection to the public that provided Terra with the most gratification. 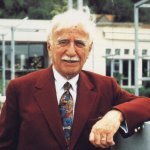 The Terra Foundation for the Arts, Terra Museum of American Art, Chicago and Musée d'Art Américain, Giverny have become rich resources - testaments to Daniel J. Terra's commitment to and love for American art. 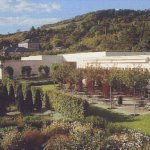 In 2006, Terra Foundation decided to withdraw from the Museum of American Art Giverny. The museum has become Musée des Impressionnismes Giverny under the aegis of local authorities, especially the Conseil General de l'Eure, in partnership with musée d'Orsay in Paris.